If you are in need an extension, you can call or stop by Friday or Saturday 8:30am - 5pm and we can take care of that. We will be closing at NOON on Monday, April 15th so be sure to come get your payment vouchers or let us know of any last minute extensions before then. Serenity Tax & Bookkeeping Services works hard to guarantee the best possible tax knowledge, bookkeeping and payroll services to keep our clients coming back and referring new clients. Thank you Oldsaw Media for the amazing video! 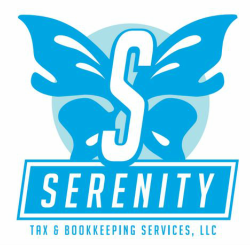 Whether you're looking for a tax professional to assist during tax season or a full service bookkeeping company, Serenity Tax & Bookkeeping Services is here for you. Call us at (218) 464-1510 to schedule your appointment. Our Mission: Serenity Tax & Bookkeeping Services LLC provides professional services to allow financial freedom. Tax Reform - What you need to get ready for tax time. Whether you're looking for help setting up QuickBooks or need a full service bookkeeping company. Serenity Tax & Bookkeeping Services is here for you. We are certified pro advisers for all of your QuickBooks needs. Have any questions? Give us a call. With 20+ years of tax experience, the team at Serenity Tax & Bookkeeping Services has the tools to make sure you are getting the most back on your taxes. Many people attempt to do their own taxes but soon find that they are getting buried in paperwork and aren't 100% sure they are doing it correctly. By hiring a tax professional, you are not only guarantee your taxes are done properly but you can rest assured that you are getting the maximum refund allowed.